Two baseball teams from the African nation of Uganda – one U15, the other U18 – as well as a softball team, traveled to Polk County to take part in the Wilson Premier Tournament. The Ugandan players were from the Allen VR Stanley Secondary School for Math and Science for the Athletically Talented, a preparatory school established by Richard Stanley, a former chemical engineer and part owner of the minor league Trenton Thunder. The aim of the school is to produce college level student athletes who will attend U.S. colleges on scholarships, then return to Uganda with degrees. 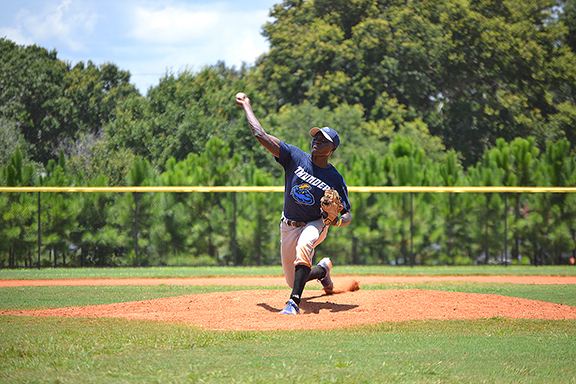 Part of Major League Baseball’s RBI Program, the Ugandan baseball teams recently took part in an RBI Tournament in Vero Beach where the U15 team took their division over a team from Puerto Rico. Besides playing against other teams in the Wilson Premier Tournament – giving college scouts a chance to see their potential – all three teams attended the Lakeland Tigers game on the Fourth of July.